The Kymco Maxer has exceptional comfort and performance. Taking advantage of cutting-edge technology, it brings modern features to enhance your everyday life. Price excluding VAT.(Incl. VAT £4,320) *VAT Relief available on this product. Sporty low profile pneumatic tyres and the stylish two-tone colour options really make this scooter aesthetically pleasing. The oil dampened suspension system helps to create a smooth ride quality across a wide range of terrains. With 13” wheels that help to provide an amazing 6.5” of ground clearance that can only strengthen the superior ride experience. This is complemented even further by the contoured sliding captain's seat. The delta handlebar will give you a useful place to rest your hands and wrists while maintaining maximum control over the scooter. It’s also fitted with rear view mirrors, so you’ll be aware of your surroundings. The dashboard is fully visible thanks to the easy to read backlit and waterproof LED display; this will show you the speed, time, battery life, and the temperature. Kymco has also added a 12-volt power socket so that you can charge your mobile phone, tablet, or another device on the go. 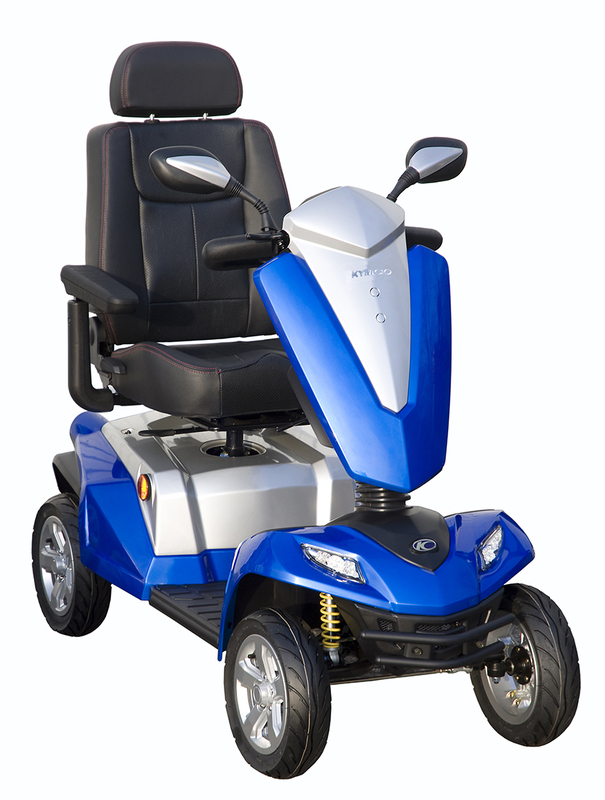 Despite its modern look, the Kymco Maxer is extremely robust. It has a bumper on the front and rear to protect you from little bumps or scrapes. 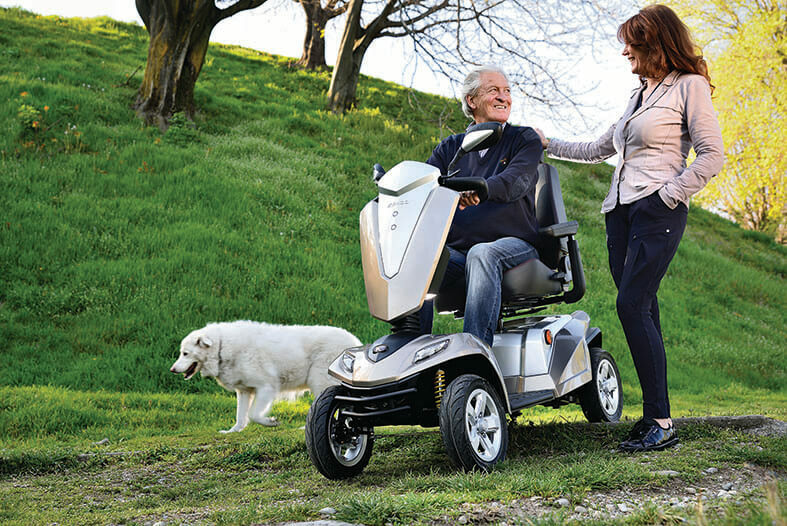 The maximum user weight is 31 stone and can travel a distance of up to 35 miles on a full charge. This scooter is available in 4 striking colours including glossy black, sapphire blue, metallic mink, and flame orange.